Marketing via email to new potential customers has become a valuable, easy and cost-effective way to promote your business and products/services, so make sure you are doing it the best you can. First impressions are the most important, whether you have a new customer walk into your place of business, call you on the phone or look for your business in an online search (and your company “popped” up). The first impression of your Welcome Email is also important to you, your business and to the customer who is receiving the email. The value of welcome emails…. When a customer decides to sign-up for your emails they are doing this with trepidation, after all they are providing you with private information for what they hope will be beneficial to them. 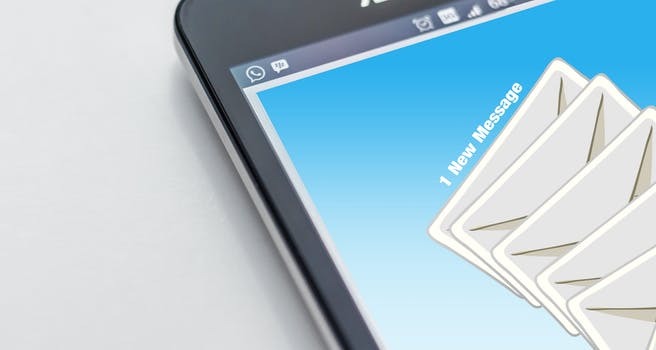 Your Welcome email will be released to a multitude of people through an automated email service, which has a 50-60 percent chance it will be opened. Considering the percentage of people who will actually open your email and the percentage who won’t, it tells you how much trust people will have on what you’re going to be sending them and how much worth they put on the information that will be provided. Reaffirm they made the right decision…. Even people who at first glance like your business may be nervous about releasing their private information to you, especially if this is the first-time doing business with you. There are three ways you can make them more comfortable about signing-up for your future emails and doing business with you by ensuring you keep in mind the following techniques. Remember your subject line must catch their attention and should thank them for singing-up. Including a call to action in the email subject line will increase your chances of it being read. Let them know they are part of the community by letting them know how many others in the surrounding area have signed up to receive your informative emails and have begun doing business with you. Make them feel safe by letting them know their email address and any other private information will not be sold or shared with others. Tell them what to expect in the future…. Be sure to offer the subscriber/customer information on what will be coming to them via email or at your place of business. Make sure you are always providing what you said you would at the point of sign-up. Inform your customers what subjects you plan to discuss and the frequency in which emails will be sent. Will the emails include discounts on merchandise or services, introduce a new product line, etc. Make sure future emails get through…. By utilizing Spam Checker will improve the chances of your email getting through to the receiver. Make sure your subject line is capable of getting pass Spam and the reader will receive it. If you have mentioned in your email about a discount or coupon towards a product or service, make sure that it can be used right-a-way. Let your customers know you are prepared and ready to honor instantly your offer for signing-up. Personalizing your Welcome email will most certainly set you apart from all the other offers being sent by your competitors. Put your best foot forward in order for your customers to think highly of you and they will be wanting to do business with you. Writing your emails in your words, down to earth, honest and clear is the type of communication that is always the best way.